This is a really flavorful and healthy side dish that is perfect for the holidays! The combination of flavors in this are so delicious! 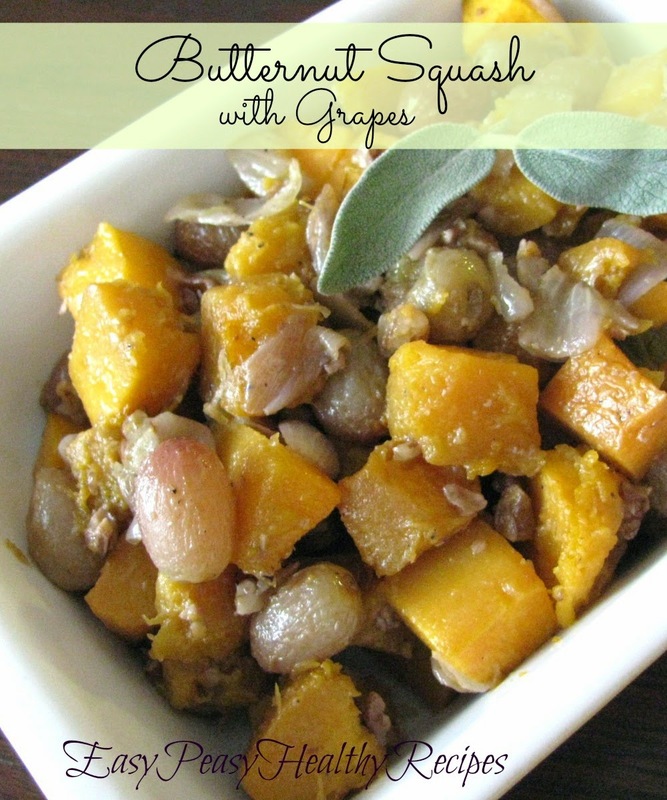 The natural sweetness from the grapes just blends so well with the squash and sage in this dish. Super Yummy! Butternut squash has more vitamin A than a pumpkin constituting about 354% of RDA. Vitamin A is a powerful natural anti-oxidant and is required by the body for maintaining the integrity of skin and mucus membranes. It is also an essential vitamin for optimum eye-sight. Research studies suggest that natural foods rich in vitamin A help the body protected against lung and oral cavity cancers. It is rich in B-complex group of vitamins like folates, riboflavin, niacin, vitamin B-6 , thiamin, and pantothenic acid. 2. Mix squash, grapes, onion, chopped pecans, olive oil, salt, pepper, and sage leaves together in a large baking dish to coat squash, onion, and grapes in oil and seasoning. 3. Roast in the preheated oven until squash and onion are golden and slightly caramelized, about 50 minutes.